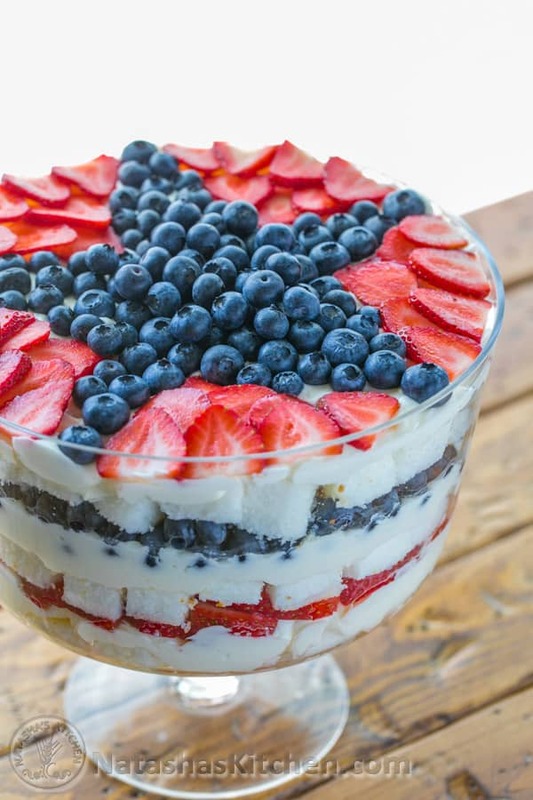 This strawberry blueberry trifle recipe requires zero baking and it takes about 30 minutes to make! 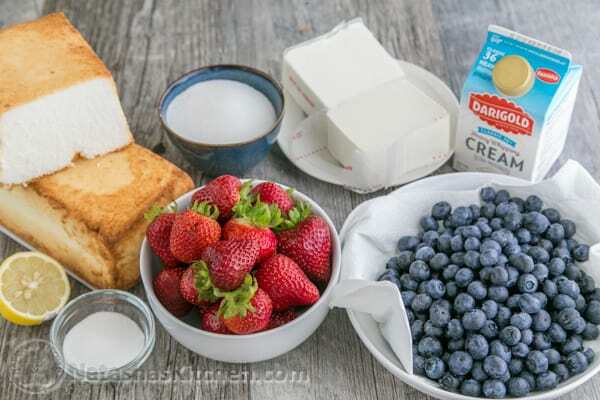 The sweet/tartness of the fruit, melt-in-your-mouth soft angel food cake and lightly sweetened cream come together so well. If you don’t have a trifle dish, you could easily put this in a large glass pyrex dish and it would still be fabulous. 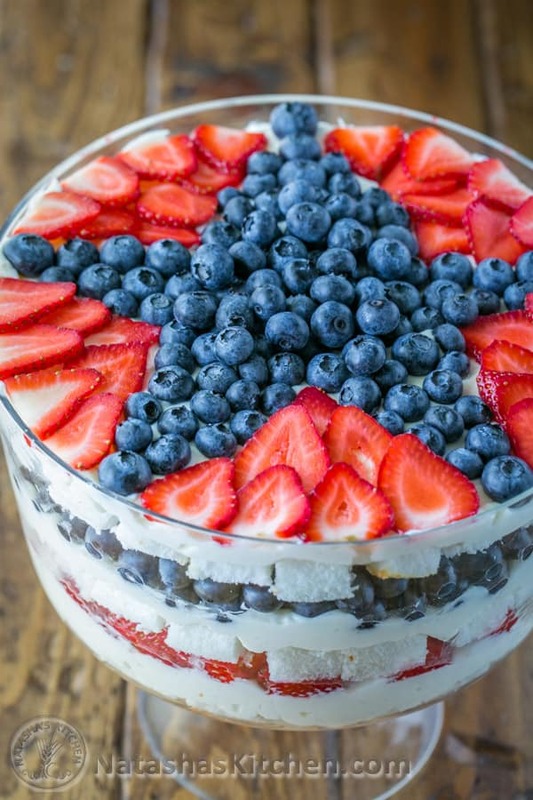 This blueberry patriotic trifle is perfect for a last minute desert, and will definitely impress your guests! 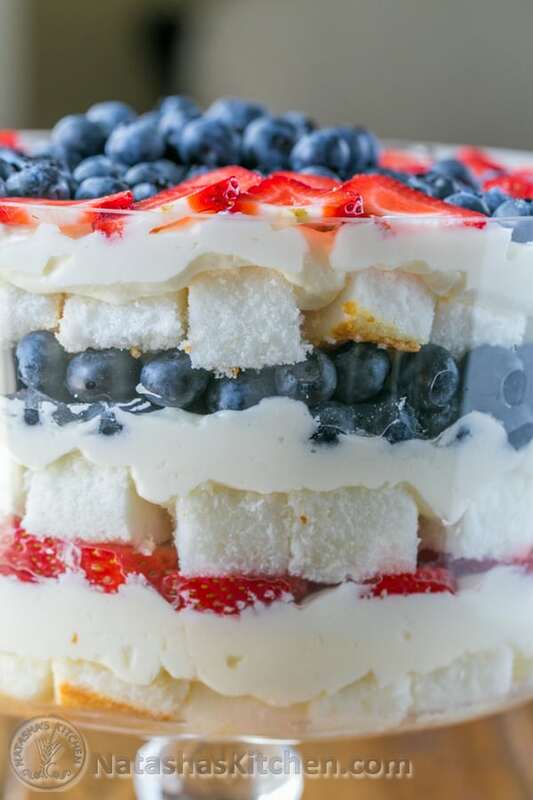 The Red white and blue trifle layers make it an awesome 4th of July cake. 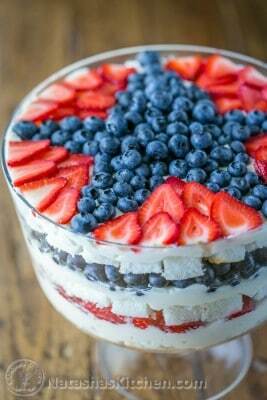 The star decor on top definitely classifies this as a patriotic cake. I hope you all have a fun Independence day! It also happens to be my husbands birthday. My handsome man is turning 35. Feel free to wish him a happy birthday on his Instagram page. He would love that :). This cake is best served the same day it’s made. Refrigerate until ready to eat. 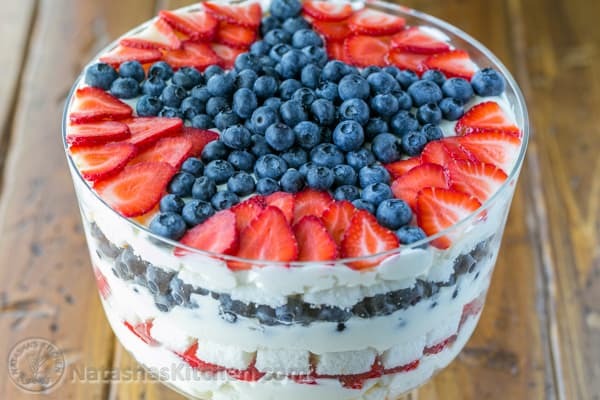 4 or 5 qt trifle dish (I found mine at TJ max), or make it in a 9×13 glass pyrex dish. 1. 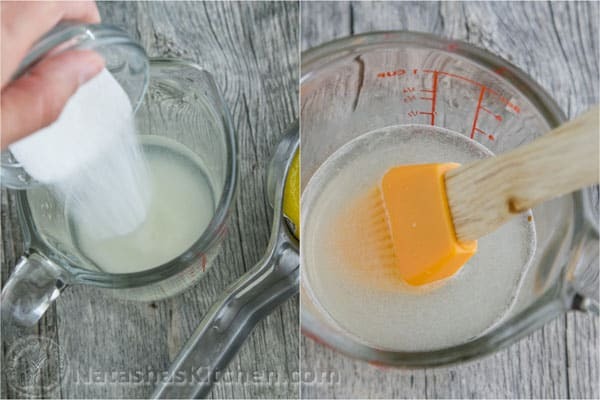 In a measuring cup, combine 1/4 cup water, 2 Tbsp sugar and 2 Tbsp lemon juice and stir until sugar is dissolved. Set aside until needed. 1. Beat together 1 lb cream cheese and 3/4 cup sugar (with the whisk attachment) on medium speed until creamy and smooth, scraping the bowl a couple times. With mixer on, pour in 2 cups heavy cream then turn mixer to medium/high and continue beating until consistency of whipped cream. Add 1/2 tsp vanilla and beat until incorporated. 1. Place 1/3 of your sliced angel food cake into the bottom of your trifle dish and brush with 1/3 of your syrup. 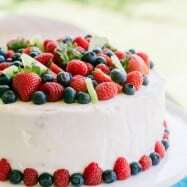 Add 1/3 of your cream and loosely spread it over cake pieces. Add 1/2 of the sliced strawberries. Repeat with remaining ingredients (adding 1/2 of the blueberries for the second fruit layer). Frost the top with last 1/3 of cream and decorate with remaining fruit. This strawberry blueberry trifle recipe requires zero baking and it takes about 30 min to make! The sweet/tartness of the fruit, melt-in-your-mouth soft angel food cake and lightly sweetened cream come together so well. 4 or 5 qt trifle dish I found mine at TJ max, or make it in a 9x13 casserole dish. In a measuring cup, combine 1/4 cup water, 2 Tbsp sugar and 2 Tbsp lemon juice and stir until sugar is dissolved. Set aside until needed. 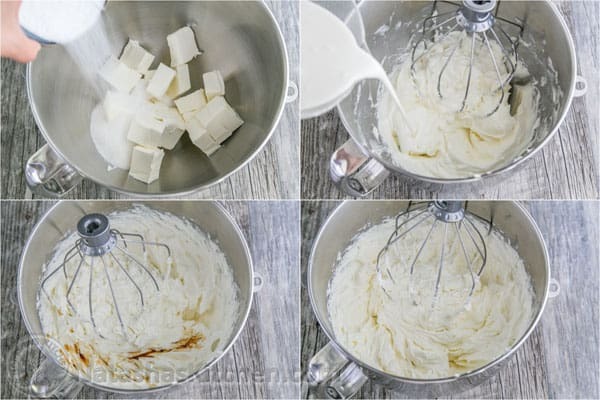 Beat together 1 lb cream cheese and 3/4 cup sugar (with the whisk attachment) on medium speed until creamy and smooth, scraping the bowl a couple times. With mixer on, pour in 2 cups heavy cream then turn mixer to medium/high and continue beating until until whipped and fluffy. Add 1/2 tsp vanilla and beat until incorporated. Place 1/3 of your sliced angel food cake into the bottom of your trifle dish and brush with 1/3 of your syrup. 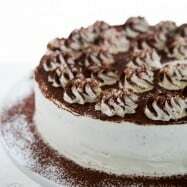 Add 1/3 of your cream and loosely spread it over cake pieces. Add 1/2 of the sliced strawberries. 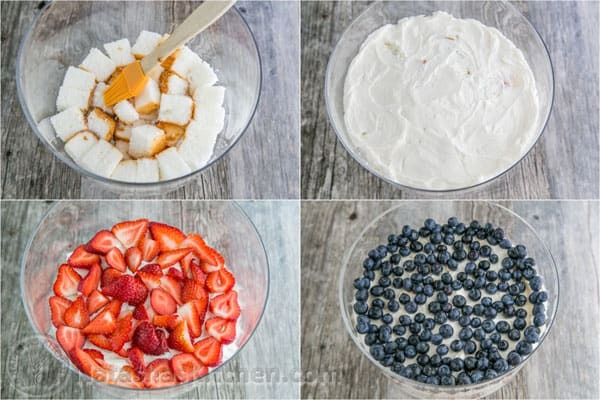 Repeat with remaining ingredients (adding 1/2 of the blueberries for the second fruit layer). Frost the top with last 1/3 of cream and decorate with remaining fruit. (Visit my blog for a closer look at the order of the cake layers). 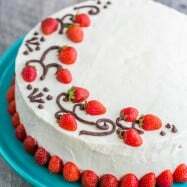 Important: This cake is best served the same day it's made. Refrigerate until ready to eat. Have a happy Independence Day! Do you have any plans for the 4th of July? 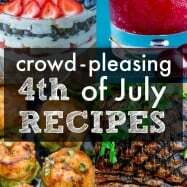 I want to make the strawberry/blueberry trifle for the 4th! My trifle dish is only 2 quarts which should be plenty for my guests. Should I cut the recipe in half? 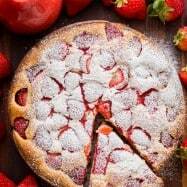 This is a wonderful, easy, and fast recipe! I made it for my husbands birthday and everyone loved it. I did it the same exact way and I would not change a thing! Hi Natasha! Thanks for sharing THIS recipe, We make this dessert for months now at family gatherings, friends over, church youth gathering, even on a regular day at home it’s always gone so quickly, and still is one of our favorite desserts, family and friends ask where did you get this recipe is so delicious, now I was thinking by myself how you came up with this recipe was it your idea to put it together and try how it would turn out!? I check your blog daily (except on Sundays) and when I’m out of service. Love the food and family updates that you share!! :) God bless you! 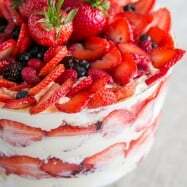 Is it better to make this trifle the day before or the same day? I can do either but trying to find out which way is preferred.